Besides becoming the youngest NYC Council Member at age twenty two and then the youngest NYC Majority Leader one year later, Councilman Joel Rivera was also pretty quick to secure his first side as a licensed NYS Real Estate Agent. On October 26th, 2011 agent Joel Rivera of Re/Max Results brought the buyer to the table and closed on 241 Revere Avenue. 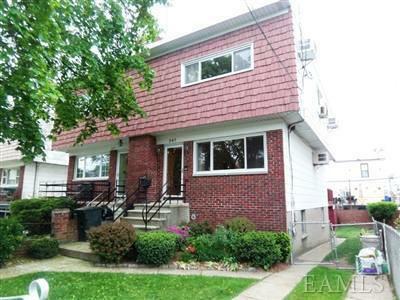 The house is located in the Throgs Neck section of the Bronx. The final sale price was $420,000, The property was listed by Associate Broker Aileen Padilla and Broker Owner Andrew Fernandez of Re/Max Voyage. Since Councilman Rivera and I are part of the Empire Access MLS, it was a pleasure coming into contact with him as he hit the phones and the pavement securing leads and showing properties. Besides becoming a catalyst for real estate transactions that generate tax revenue and jobs, I am sure his first hand contact buyers and sellers will provide him powerful insight when reviewing and crafting legislation as the present NYC Council Majority Leader. Kudos to Joel on his accomplishment and many more!!! Welcome to the Bronx real estate world. Labels: "241 Revere Ave", "Aileen Padilla", "Andrew Fernandez", "Empire Access MLS", "NYC Council Majority Leader Joel Rivera", "Re/Max Results", "Re/Max Voyage"
Here is news related to tomorrows NYC Transportation hearing were three bills will be introduced. If interested in what’s on the table or participating in tomorrows hearing, please do see the e-mail sent by NYC Council Speaker Quinn and NYC Transportation Chair James Vacca. Intro. 629: Introduced by Council Member James Vacca, this bill would require the Department of Transportation to report to the City Council and Mayor the number of pothole complaints received by the department, the time period the department uses as a target for completing repairs of potholes, the number of potholes repaired, the percentage of pothole repairs completed within the target period and the percentage of potholes repaired within fifteen days of the complaint. Intro. 567: Introduced by Council Member James Oddo, this bill would require the Department of Transportation to post on its website information regarding the resurfacing and capital improvement of each city block, including: (i) what year each city block was last resurfaced or received capital improvement; (ii) the current rating for each city block pursuant to the department's street rating system as one of the following: satisfactory, in need of resurfacing, or in need of capital improvements; and (iii) for those streets in need of resurfacing or capital improvement, a reasonable approximation of when such maintenance will take place. Intro. 546: Introduced by Council Member David Greenfield, this bill would prohibit the Department of Transportation and other city agencies from placing adhesive stickers on motor vehicles where the person has not been convicted of an offense. As always, it is important for the City Council to hear from you and other New Yorkers when considering legislation and other important issues on behalf of the City, and anyone who wishes to is more than welcome to attend this hearing. If you are interested in testifying and/or have any stories related to these bills that that you would like to share with us, please feel free to contact Nivardo Lopez in the City Council's Human Services Division at (212) 788-9087/nlopez@council.nyc.gov. You can also email your comments and stories to us at speakerquinn@council.nyc.gov, and we will be sure to forward them to the Committee's staff in advance of Tuesday's hearing. Thank you in advance for any input or feedback you provide. Have a safe weekend and we will be sure to keep you posted on the outcome of our hearing. Labels: "Councilman David Greenfield", "Councilman James Oddo", "Intro 546", "Intro 567", "Intro 629", "NYC Council Speaker Quinn", "NYC Transportation Chair James Vacca"
The City Island Theater Group is partnering with The City Island Community Center for a spectacularly creepy Haunted House! Come see some of your favorite CITG actors in their scariest roles yet! Tonight (October 31st, 2011) from 7pm - 9pm. Admission is $3 per person with proceeds going to the Community Center. PLEASE NOT: MATURE THEMES, ALL CHILDREN UNDER 12 MUST BE ACCOMPANIED BY AN ADULT!!! Labels: "CITG", "City Island Communityt Center", "City Island", "Haunted House"
Here is a quality of life issue the Sanitation Commissioner and the Bronx BP want increased emphasis placed on. Although I am rarely against increased fines to the public, when it comes to selfish pet owners allowing their dogs to defecate on public streets or parks I whole heartedly agree with the crackdown and new public awareness campaign. We need to make sure our streets meet basic sanitary standards. Kudos to our BP and the Commissioner. Sanitation Commissioner John J. Doherty and Bronx Borough President Ruben Diaz, Jr. today announced a public awareness campaign to remind dog walkers to pick up after their dogs, as required by the law. The Department also announced that its enforcement agents will be concentrating on ‘problem areas’ brought to its attention by 311 and Bronx community boards where dog walkers repeatedly violate the ‘pooper scooper’ law. The ‘pooper scooper’ law, first introduced in New York City in 1978, requires all dog walkers to pick up their pet’s waste in all public areas. Failure to comply with the law is a $250 fine. “Bronx residents have been very vocal in seeking a crackdown by our enforcement agents on those who repeatedly allow their dogs to spoil public areas and ignore the law to pick up their dog’s waste,” said Commissioner Doherty. At recent borough budget consultations in the Bronx, canine waste was the number one issue of concern regarding Sanitation, Commissioner Doherty added. “The Bronx is a great place with so many things to offer. But for too long scofflaws have been defiling our beautiful parks, streets and business districts by refusing to clean up after their dogs. I hope that through this effort ‘pooper-trators’ realize not only the importance of keeping our borough clean and beautiful for everyone to enjoy, but that they will pay handsomely when they do not,” said Bronx Borough President Ruben Diaz Jr.
“As neighbors, we cannot continue to accept the inconsideration of individuals who refuse to clean up after the pets. We are asking the City to step up its efforts to enforce its ‘Pooper Scooper’ laws to address what has become more than just a daily nuisance for residents. We urge all dog walkers to do the right thing and be responsible for your pets so that we can all enjoy cleaner streets and parks,” said Fernando Tirado, District Manager of Bronx Community Board #7. Labels: "Fernando Tirado", "pooper scooper' law", "pooper-traitors", "Ruben Diaz Jr.", "Sanitation Comissioner John J. Doherty", CB7"
Here is information about a networking group centered on technology and its common background. If interested please do review the e-mail sent by the organization. It seems to be a proactive organization on the move. Blacks in Tech (BIT) is a group formed to organize technologist and thrust innovation within the technology community. If you are are involved in digital media, a blogger, strategist, on-line/off-line designer, social networking, mobile technology, digital entertainment, database marketing, on-line/off-line marketing, public relations, webmaster, project management, networker or simply have a passion for all things technology, this is an opportunity to discuss, organize and activate your passion. Last the group is open to anyone interested in learning more about technology and how it impacts the present and future community. Labels: "BIT", "Blacks in Technology", "Blogger", "digital entertainer", "Digital Media", "Public Relations", "Webmaster", Mobile Technician"
While scanning You Tube trying to make scene out of recent events in Oakland, I came across the following video. It registered almost 800,000 hits by the time I viewed it. From the footage provided, I think everyone would agree that the flash grenades were thrown into the crowed by police as protestors went to help the young man already down. What makes the crime even more egregious is that the wounded protestor was a U.S. Veteran. The Mayor of Oakland needs to be removed from office and the police officer who threw the flash grenades into the crowed needs to be identified and brought up on charges. Labels: "Flash Gernades", "Oakland Police Department", "Occupy Oakland"
Here is a fun Halloween event for the kids. It should be a safe and fun way to spend time with the kids this Halloween. This Halloween, join Bronx Borough President Rubén Díaz Jr. and West Bronx Recreation Center in pumpkin designing, face painting, popcorn and cotton candy eating, and more! This event is sponsored by City of New York Parks & Recreation and The Bronx Tourism Council. For more information, please call (718)590-3522 or e-mail lroldan@bronxbp.nyc.gov. Labels: "Bronx Borough President Ruben Diaz Jr.", "Bronx Tourism Council", "Cotton Candy", "Face Painting", "Popcorn", "Spooktacular", "West Bronx Recreation Center"
Bronx Museum of the Arts Conducts BEYOND THE SUPER-SQUARE: Art & Architecture Conference runs from October 28 - 30th. There is a three day conference at the Bronx Museum of the Arts related to modernist architecture. I am a firm believer that great architecture helps make great neighborhoods and that events like these are a great means to get our youth interested in art and architecture. Please do forward where you see fit. The events are free, but you do need to register. For more information please see the post below and the web site listed. Beyond the Super Square: At the Corner of Art & Architecture is a three-day conference designed to draw attention to an important historical period of modernist architectural production in Latin America and the Caribbean that, 50 years later, continues to resonate among contemporary artists. Held on October 28–30, 2011, the conference strives to contextualize the impact of modernist architecture throughout the Americas through a series of panels and presentations by architects, urban planners, and contemporary artists. Labels: "Beyond the Super Square", "Caribbean", "Latin America", "Modernist Architecture", "Urban Planners"
Here is one more example on how the "Occupy Wall Street" movement has shown itself to be a populist movement taking on various fronts. The following footage was taken at an "Occupy the D.O.E." protest at a recent Panel for Education meeting. Once again you can fool some of the people some of the time, but not all of the people all the time! As the power elites send their puppets to try and privatize our schools, for their own benefit, we should be proud that there are activists out there letting them know this is America and that our spirit is unique. If these educrats want to make a difference let them get in the classroom and teach. They would not last a week in an inner city classroom. $1 rent for charter schools run by for-profit entities, lucrative consulting contracts, lucrative technology contracts and lucrative testing contracts are what they are after. Every know and then they need to be reminded who hold he reigns and that our tax dollars pay their salaries. Labels: ", "Chancellor Dennis Walcott", "Common Core Standards", "DOE". "NYC Department of Education", "Panel for Education Policy", "PEP", David Coleman"
The following press release sent by our Controller might seam a bit technical or long winded, unless your pension is administered by the City of New York. If interested in the proposed changes to how NYC plans to manage the pension funds it administers, please see the press release below. NEW YORK, NY – City Comptroller John C. Liu, Mayor Michael R. Bloomberg and organized labor leaders today announced an agreement in principle to reform and professionalize the investment governance and management of the City’s pension funds. The proposal would place investment advisory authority for all five of the currently independent City pension funds under one new pension board, supported by an independent, full-time staff led by a Chief Investment Officer, who would be appointed to a fixed term. The proposal is intended to insulate management of pension assets from any political office, further professionalize it and make it more consistent with industry best practices. The proposal aims to increase investment returns, lower the City’s pension costs, protect and strengthen pensions for current and future retirees, enhance accountability and guard against the possibility of fraud and corruption. The City’s five pension funds currently have 58 trustees, each with a different weighted vote, who decide investment policy. No two systems are governed, managed or operated in the same manner, resulting in complexity, inconsistency and inefficiency. The Mayor and Comptroller made the announcement at City Hall, where they were joined by District Council 37 Executive Director Lillian Roberts, United Federation of Teachers President Michael Mulgrew, Uniformed Firefighters Association President Stephen Cassidy, Patrolman’s Benevolent Association President Patrick Lynch, Detectives’ Endowment Association President Michael Palladino, Captains Endowment Association President Roy Richter, and Pension Board Trustees. The investment reform proposal will simplify a complex, outdated investment structure to ensure the $120 billion New York City Pension System is best-in-class among peer institutional investors worldwide. Investment expense savings will be realized, primarily by developing in-house investment expertise for certain asset classes. Over the long term, superior returns would generate significant taxpayer savings through consistent long-term investment direction, strategic risk management, increased accountability and authority, first-mover advantage and a high-caliber, specialized staff. § The five New York City Pension Funds would delegate investment authority to a newly created pension investment board composed of City and labor representatives. The board would set strategic objectives and policy for the funds. § The Bureau of Asset Management would be moved out of the Comptroller’s Office and be re-established as an independent investment entity that will determine consultant and asset manager pools and manage certain asset classes in-house. The proposal calls for the investment entity to be staffed by experienced industry professionals and for compensation packages to attract those investment professionals. § A Chief Investment Officer will lead the new investment management entity. The Chief Investment Officer will report to the new pension investment board – not to any individual elected official – and will be appointed to a fixed term that will not coincide with citywide election cycles. § The new pension investment board and new investment staff will adopt best-in-class ethics, governance, training, and code of conduct policies and procedures to protect against fraud, waste and abuse. The assets of the five pension funds will remain separate under the proposal and each fund will continue to administer benefits and make disability determinations independently. “The newly proposed changes would move New York City Pension Funds to the front of the class of public pension organizations not just in the USA, but internationally as well,” said Keith P. Ambachtsheer, Director of the Rotman International Centre for Pension Management at the University of Toronto and President and Founder of KPA Advisory Services. The New York City Pension Systems consist of five separate funds: The New York City Police Pension Fund, the New York City Fire Department Pension Fund, the New York City Teachers’ Retirement System, the New York City Employees’ Retirement System, and the Board of Education Retirement System. Full implementation of the investment reform proposal requires State legislative approval. Representatives from the Mayor’s Office, the Comptroller’s Office and organized labor will work together to finalize the proposal and work with elected officials to implement the plan. Details of the proposal are available online at http://pirnyc.com. Labels: "Captains Endowment Association", "DC 37", "Detectives' Endowment Association", "NYC Comptroller Liu", "Patrolman's Benevolent Association", "UFT", "Uniformed Firefighters Association"
Bronx Culinary Ambassador Barron Ambrosia has made the “Big Time”. His world premier of "The Culinary Adventures of Baron Ambrosia" will air on the Cooking Channel on Sunday, November 6th. Make sure to mark you calendars for this must see world premier. Besides spicing up our cable airwaves, Barron Ambrosia also has been a strong economic stimulus for Bronx food establishments. For more information on the zany mastermind’s upcoming premier, please do review the video and link below. Many more successes to him and his crew. BARON AMBROSIA from Justin Fornal on Vimeo. Labels: "Barron Ambrosia", "Cooking Channel", "Foodies", "World Premier", "Zany Masterminds"
The Bronx is having its first ever restaurant week. I don't know why no one thought of this before. With all the great restaurants in our borough and our diverse ethnic population, each with their own secrete recipes, it should be a great success. For more information on "Savor the Bronx" please do review the press release sent and log onto the web address provided. This is definitely a step in the right direction for our borough. Kudos to all the organizations teaming up to make the event possible. Bronx Borough President Ruben Diaz Jr., in conjunction with the New York State Restaurant Association, will present Savor The Bronx!, the borough’s first restaurant week from Tuesday, November 1 to Sunday, November 13. The event, produced by the Bronx Tourism Council and co-hosted by the Bronx Overall Economic Development Corporation (BOEDC) and the Bronx Chamber of Commerce, will showcase the borough’s best eateries. They’ll offer special values and discounts like prix fixe 3-course meals, complimentary coffee and dessert, or 20% off the check. Foodies can experience delicious dishes from the Americas, the Caribbean, Asia, Central America, Europe and Africa, all of which are available in the Bronx. To get more information on participating Savor The Bronx! restaurants, please visit savorthebronx.com. Labels: "BOEDC", "Bronx Chamber of Commerce", "Bronx Tourism Council", "New York State Restaurant Association", "Ruben Diaz Jr.", "Savor the Bronx"
Here is another Halloween inspired event that should good for our environment and a lot of fun. It's a costumed canoe ride were participants collect debris as their flotilla heads south on the Bronx River. Kudos to whoever though of this idea. Please do see the press release sent and how to register if interested. More information about this event and other creative events can be found on the Bronx River Alliance web site posted below. Canoe through the Bronx River Forest, past the Botanical Garden and end at the Bronx Zoo dressed as your favorite character, listen to river tales of mystery told by Stephen Devillo, all the while filling your trick or treat bag with bottles, cans and other items that don't belong. Labels: ", "Bronx River Alliance", "Stephen Devillo", "Thriller on the Bronx River"
Here is news on our Attorney Generals guest appearance on "The Rachel Maddow Show", later tonight. It should be interesting to see how our Attorney General weights in on mortgage and housing issues. Tonight, Attorney General Eric Schneiderman will be a guest on "The Rachel Maddow Show" to discuss his fight for a fair settlement to the mortgage crisis that gives homeowners meaningful relief, allows the housing market to begin to recover, and gets our economy moving again. For more details, be sure to tune in to "The Rachel Maddow Show" tonight at 9PM ET on MSNBC. Labels: "Housing Market", "Mortgage Crisis", "MSNBC", "NY Attorney General Eric Schneiderman", "The Rachel Maddow Show"
The Inwood Center has planned a Halloween Hero-Fest this coming Friday. Anyone seeking Halloween fun for the children should look into the events scheduled. Please help us spread the word about our "Halloween Hero-Fest" this Friday, Oct. 28th from 3-6 pm at the Inwood Center for carnival games, trick-or-treating, improv theater and gross-out stations. Every child receives a free Halloween portrait shot by a professional photographer. And there's more! There will be a special theatrical presentation by The Super Sprowtz, the children's vegu-cation group. ALL FREE! Labels: "Halloween Hero-Fest", "Inwood Center", "Super Sprowtz", Carnival Games", Improv Theater"
The following e-mail sent by the NYC Council, relates to free Pre-Kindergarten programs available to the public. If interested please do review. Spaces are still available for FREE Universal Pre-Kindergarten (UPK). These programs are open to all four-year-olds who were born in 2007, regardless of their immigration status. Call the Department of Education (DOE) at (718) 935-2009. Neighborhood preschools, day care centers and public schools across the city offer UPK. You can find a list of open UPK seats at http://schools.nyc.gov/ChoicesEnrollment/PreK/default.htm. There are also additional services that children in Administration for Children's Services (ACS)-contracted child care centers can receive if they qualify. Families interested in finding out if they qualify for subsidized services can use ACS's web-based Child Care Eligibility Wizard at http://www.nyc.gov/html/acs/chidcare_eligibility/wizard.html to see if they are eligible. Early childhood education has benefits across a child's lifetime, including raising academic achievement and increasing the chances that a child will successfully graduate from high school. That's why the City Council is once again partnering with the DOE, ACS and child care advocates across the five boroughs to help enroll as many four-year-olds as possible in free UPK. Please feel free to forward this information to any parents who may need help finding childcare services. If you have any questions or have difficulty obtaining information about UPK programs from the resources listed above, please feel free to contact Mathu Subramanian in the City Council's Policy Division. She can be reached by phone at (212) 788-9194 or by email at msubramanian@council.nyc.gov. Labels: " Annabel Palma", "ACE", "Christine C. Quinn", "DOE", "Early Childhood Education", "Robert Jackson", "Universal Pre-Kindergarten Classes", "UPK"
Here is good news about business, government and community organizations helping to create a new park. Kudos to all the entities involved. Even if you don't find time today to attend the Grand Opening today, I hope everyone takes the time out to review the post and remember the entities and individuals that made the new park possible. Businesses that protect our environment should be remembered and given preference when we spend our hard earned dollars. Labels: "ABC Carpet", "Drexel University", "eDesign Dynamics", "Excav Services", "Lillian Ball", "Rock the Boat"
Here is news on a free dance event taking place at the Casita Maria Center. It sounds like a great event. Thursday, October, 27 at 8 p.m.
Casita Maria is proud to present the highly anticipated inaugural production of Morphoses Dance Company in a cutting edge format. Morphoses was determined to make a difference in the dance world when it began in 2007. Four years later, directed by co-founder Lourdes Lopez, the company remains the same go for broke band of experimentalists dedicated to bringing new choreography to new audiences in new ways. On October 27, Morphoses will present the world premiere of Luca Veggetti's "Bacchae." Courtesy of Morphoses's fearless imagination, there will be a simultaneous live feed from the Joyce Theater's Thursday night performance to the Casita Maria Center for Arts and Education. The triple performance event, which creates a bridge between what is being performed inside the theater and audiences in multiple outside locations, marks a first for the dance world. It is part of Morphoses's commitment to attracting new and diverse audiences to dance. The cast for "Bacchae" features Sarah Atkins, Christopher Bordenave, Frances Chiaverini, Brandon Cournay, Adrian Danchig-Waring, Brittany Fridenstine, Gabrielle Lamb, Willy Laury, Morgan Lugo, Emma Pfaeffle, and Yusha-Marie Sorzano. The original score and sound design are by Paolo Aralla; flautist Erin Lesser will play live. Text adaptation and dramaturgy are by Luca Scarlini. The lighting is by Roderick Murray and the costumes are by Luca Veggetti and Benjamin Briones. Nel Shelby Productions will direct Thursday evening's live feed. The equipment, including the projectors, monitors and flat screen televisions, is being provided by NEC. *This event is free but please RSVP to info@casita.us. Labels: "Bacchae", "Casita Maria Center for Arts and Education", "Christopher Bordenave", "Joyce Theater", "Lourdes Lopez", "Luca Scarlini", "Morgan Lugo", "Morphoses Dance Company", "Sara Atkins"
Here is news about local leaders celebrating Italian-American Heritage Month right here in the Boogiedown. On Thursday, October 20th Bronx Borough President Ruben Diaz Jr., Deputy Borough President Aurelia Greene and honorees celebrated Italian-American Heritage Month at the Enrico Fermi Cultural Center, located inside the Belmont Library. Labels: 'Enrico Fermi Cultural Center", "Belmont Library", "Italian-American Heritage Month", "Joe Savino", "Joseph Miglicci", "Joseph Sciame", "Kathy Landi Zamechansky", "Ruben Diaz Jr.", Aurelia Green"
1- The quality of the food and drink. 2- The quality of events held. 3- The fact that the owners were instrumental in helping my associates and I when organizing this years first ever Bronx Week Film Festival. Besides providing the Bronx a unique food and art venue, the owners and management of the Bruckner Bar and Grill are always there to support the community. If you have not been to the Buckner Bar and Grill yet, here is a great opportunity to check the hot spot out. 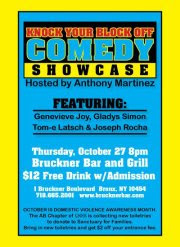 All are invited to the Bruckner Bar & Grill for the Knock Your Block Off Comedy Showcase Hosted by Anthony Martinez!! Featuring comics Genevieve Joy, Gladys Simon, Tom-e Latsch and Joseph Rocha!! Admission is $12 - cover includes a FREE drink!!! We will be collecting toiletries for Sanctuary for Families at the door. Your donation will get you $2 off your entrance fee. Email Anthony or call (917) 723-8125 for more info. Come prepared to laugh hard!!!! Labels: "Anthony Martinez", "Bruckner Bar and Grill", "Genevieve Joy", "Glaydys Simon", "Joseph Rocha", "Tom-e Latsch"
There are a couple recycling events coming to the Bronx. The first is at the Parkchester Greenmarket next Friday, October 28th from 9am-2pm, and the second is on November 2nd from 9am to 3pm at the New York Botanical Gardens Greenmarket during their Fall Harvest Fest. These recycling events are organized by GrowNYC to help divert waste from landfills and our ocean!!!. If you have unwanted items you were considering throwing away, here is a convenient way to dispose of them without hurting our environment. 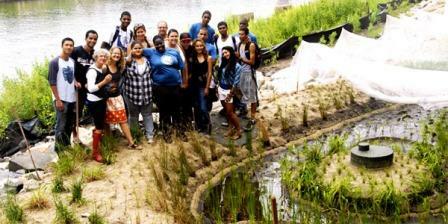 Special thank you to Alyson Schill of GrowNYC for the information. For more information, visit http://www.grownyc.org/clothing or call 212.788.7964. Labels: "Alyson Schill", "Bronx", "Greenmarkets", "GrowNYC", "Parkchester", NY Botanical Gardens"
We have a new chair of our Transportation system. His name is Joseph Lhota and he has Bronx roots. Councilman NYC Councilman James Vacca released the following press release related to the recent appointment made by Governor Cuomo. Hopefully or new MTA Chair will use his working class upbringing to help understand and then protect the interest of average New Yorkers. Good luck to Mr. Lhota in his new appointment. Labels: "Bronx Roots", "Governor Cuomo", "Joseph Lhota", "MTA Chairman", "NYC Councilman James Vacca"
Here is some news about Bronx resident Mr. Ktrice McNeill and others who contributed to their community and were honored at this years Up2US foundation. Mr. McNeill is the basketball coach at the Edenwald Community Center. Kudos to Mr. McNeill and the other coaches in the Up2Us organization. On October 5, 2011, Ktrice McNeill of the Bronx was honored at the Up2Us Coach of the Year Ceremony and Reception, held at the Longworth House Office Building in Washington D.C., during the Up2Us annual National Summit: Think Globally, Play Locally. McNeill received the 2011 Coach Across America Coach of the Year award and was one of four outstanding coaches from across the country honored. In addition to McNeill, Lisa Hawk and Renato Paiva of San Diego, CA and Faye Stevens-Jett ofChicago, IL were also recognized. Honorees were chosen for the meaningful roles they play in the lives of the young athletes they serve. A Bronx, NY native, McNeill was influenced by his parents who reminded him daily that "without education you have nothing." Growing up in an inner-city where gang violence and drugs were prevalent, he understands first-hand the impact of sports. McNeill played basketball throughout middle school and high school, which gave him discipline and confidence. He graduated from Fashion Institute of Technology with his associate's degree in marketing. He received a basketball scholarship to Southern Connecticut State University for two years, and had an opportunity to play overseas in Italy. As a coach, he aims to use his voice to teach young people that "failure is not an option." The Up2Us National Summit brought together youth sports leaders from around the country to change the way that people think about the power of sports to positively impact youth. Skateboard legend and Laureus World Sports Academy Member Tony Hawk served as the keynote speaker for the Coach of the Year Ceremony and Reception. The Up2Us National Summit 2011 sponsors included Laureus Sport for Good Foundation and The George Washington University. The Laureus Sport for Good Foundation celebrates the universal power of sport to bring people together as a force for good and uses the passion that sport inspires to effect social change across the globe. Up2Us is a national nonprofit coalition leading the movement to advance sports as a vehicle to address critical issues facing youth, including childhood obesity, academic failure and anti-social behavior. Up2Us supports a national network of close to 500 member organizations in all 50 states. These organizations serve 20 million youth through traditional and non-traditional sports. Members share best practices, advance initiatives that extend opportunities to new players, and deliver quality programs in underserved communities where there is a tremendous need for constructive outlets for youth. For more information, log on to up2us.org. Laureus (http://www.laureus.com/) comprises the Laureus World Sports Academy, the Laureus Sport for Good Foundation and the Laureus World Sports Awards. Collectively, these three elements form the essence of Laureus, harnessing the power of sport to promote social change and celebrating sporting excellence. Laureus celebrates the universal power of sport to bring people together as a force for good, passionately embodying the very spirit of sport – the pursuit of excellence, overcoming challenges, celebrating achievement and excellence, and winning against the odds. Labels: "Edenwald Community Center", "Faye Stevens", "George Washington University", "Ktrice McNeil", "Laureus Sports for Good Foundation", "Lisa Hawk", "Renato Paiva", "Tony Hawk", "Up2Us"
Here is news about a runners club organizing a free Halloween run in the Bronx. They call themselves the Holiday Marathons Team. For any runners interested in the free event please see the post and links below. Great smooth trail course. Some rolling hills. 6.55 mile loop. New flat 5k course too. Great for beginners! Race includes a marathon, half marathon, 50k 10k & 5k. Welcome to Holiday Marathons, a series of races in New York City's Van Cortlandt Park that forsakes the large entry fees common at the corporate-sponsored events that populate running calendars across the country. The Marathon course is the only trail marathon inside New York City! The course is challenging, beautiful and scenic, a true adventure! All skill levels are welcome, fun should be had by all! All races are FREE and open to all!! Labels: ", "Halloween Marathon Run", "Van Cortlandt Park"
Here is positive news on a new playground secured at P.S. 83. Tomorrow Morning, Council Member James Vacca will join P.S. 83 students and faculty to unveil a new playground at the Morris Park school funded in part with a $200,000 grant Vacca secured through the City Council. The much-needed upgrade ― which includes a new play structure, benches, a kickball diamond, a two lane running track, and a basketball hoop, as well as line games such as hopscotch, skellsy, a jump zone for jump rope and an alphabet and number grid ― was designed and built by the organization Out2Play. Labels: "Andrea Wenner", "Claudia Macek", "Councilman James Vacca", "Morris Park", "Out2Play", "P.S. 83"
section of the Bronx at 590 East 187th has given the items that were donated by the bank and customers to Give2theTroops® for our service men and women. During the last several weeks, all of NorthEast Community Bank’s branches participated in a collection for Give2theTroops®. All donated items will be shipped to soldiers in need of basic necessities. “We are so happy and thankful that our customers and the community were so generous with their giving to our donation efforts. We are so proud today to be able to give those items to Give2The Troops® to send to our brave men and women in uniform,” said Betty Giordani, Bronx Office Branch Manager. Labels: "Arthur Avenue", "Betty Giordani", "Fordham", "Give2Thetroops", "Northwest Community Bank"
Even though the majority of the main stream media wants the rest of America and the world to believe the "Wall Street Occupiers" are a radical left wing fringe, most of the e-mails received to date at the BoogieDowner about the protests, have been from educators at prestigious U.S. universities. As various Fox News Network correspondents seeks the least informed to ask questions to and then conclude they need to be educated on the topics by their own networks, professors from universities such as Fordham, C.U.N.Y, and Columbia's Teachers College are conducting education summits at the Zuccatti Park. Another interesting point to mention is that according to the e-mail below, NYC Councilman Rodriguez is scheduling a march of his own with a connection to the “Occupy Wall Street” movement. Is this the beginning of the “Occupy Wall Street” movement’s introduction to main steam politics? Rather than a dogmatic agenda, the protests are turning into a modern day “Agora" for Socratic thought which will hopefully have a long lasting effect on our nation. Hopefully it will infuse higher order thinking skills back into the American educational system. But then if we had a society that was aware, properly educated and had informed unbiased media, would they tolerate subsidiaries of large corpoartions like Brookfield receiving $700,0000 in small business grants or Charter schools which are for-profit institutions, some of which pay $1 a year rent the the NYC Department of Education for space. Please review the e-mail sent again by Mark Naison of Fordham University and conclude for yourself. Great day at OWS. Went down for a grade in organized by Teacher Activist Groups,, but stumbled upon an great Save Our Schools Teach In organized by Celia Oyler and other faculty from Columbia Teachers College. One of the best open discussions discussion of education issues I have ever been part of with people of many ages and backgrounds taking part. Main points, at least to me. 1. That corporations like Pearson are making tremendous profits as a result of Federal and state mandates to impose high stake tests, and have bought off many officials. 2. That the "value added" approach to rating teachers is incredible inaccurate and demoralizes teachers and magnifies the test score gap. 3. That teachers can't just fight against strategies that squeeze creativity from their classrooms, they have to fight racism and segregation in the nation's schools and the entire society. Fourth, that people in working class communities in New York are determined to make sure that OWS is expressing their interests and concerns. On Thursday, there will be a big march from Washington Heights to Wall Street let by community organizations and elected officials, including Councilman Rodriguez, who was there at the teach in. I came away from the teach in feeling excited and primed or action. All in all, it was three plus hours of with educators marked by spontaneity, creativity, honesty and true comradeship. Real issues were discussed in without rancor and rage. I felt I was part of a true "Parliament of the People." If THIS is what democracy looks like, I'm down with it! Labels: "Agora", "Celia Oyler", "Columbia Teachers College", "Fordham University", "Mark Naison", "NYC Councilman Rodriguez", "Occupy Wall Street", "Paolo Freire", "Socratic Thouught"
Here is more on Charter school controversy as it relates to the U.S. Commonwealth, Puerto Rico. Manhattan, NYC – On Monday afternoon, October 17th , teachers, labor, religous, community activists and Occupy Wall Street supporters will be at Mayor Bloombergs’ NYC Education Department in responseto the call for support by the Teachers’ Union of Puerto Rico (FMPR) against charter schools and Privatization of the public schools system. The FMPR is protesting the visit to Puerto Rico of U.S. Secretary of Education, Arne Duncan, to attend an “Education Summit” from October 17-18. This visit by the education tzar of the Obama Administration was convened to increase support for the federal No Child Left Behind policies that have promoted thousands of layoffs, school closings and school privatization with charter schools in Puerto Rico and throughout the United States. The Teachers’ Union of Puerto Rico (FMPR) has been the target of intense repression by the Puerto Rican government, including police brutality, the illegal elimination of dues deduction by the union and the revocation for life of the leaves of absence from work without pay for teachers. The Monday demonstration will also denounce the anti-democratic privatization policies at the federal, state and city level that continue to cripple public school education for the children of working famlies and the assault on the rights of teachers and other school employees in New York City.This protest is part of ongoing campaigns and actions by anti-charter privatization groups throughout the U.S. and by NYC based education, community and labor activists. Labels: ", "Anti-Privatization Movements", "Bloomberg", "Charter Schools", "Education Summit", "FMPR", "Puerto Rico", "U.S. Secretary of Education Arne Dincan"
Did anyone witness Bill O'Reilly of the Factor put his foot in his mouth by predicting on David Letterman that the Occupy Wall Street movement would dissipate after the attempted eviction on Friday morning? Please see the e-mail sent by local Occupy Wall Street organizers Mark Naison of Fordham University and Ira Shor of CUNY advocating for the collection of winter gear to sustain the protest through the winter. Again Mr. O'Reilly proves his ability to completely miss the pulse of average Americans as protests spread thought America. It's a shame that every time the American public turns around they find a large corporation abusing their power and influence. It's no wonder the streets are flooding with irate protestors. "The Wall Street Occupation Needs Winter Gear! We the 99% have a great stake in the Wall Street Occupation. We can help the Occupation win by supplying its needs and by spreading its protest message across America. Food is already pouring in because so many oppose the 1%. Now, winter is coming! The Occupation needs warm, waterproof gear to make it to Spring: boots, socks, sleeping bags, tarps, polartec shirtsand pants, thermal underwear, gloves, scarves. Please start with others a "99% Club" where you are to protest inequality and to collect gear for the outdoor camps in NY and other cities where thousands sleep every night. Checks or Money Orders to: Alliance for Global Justice, 1247 "E"Street, SE Washington, DC, 20003. Write on Ck or MO "Occupy WallStreet" or call 202-544-9355 to donate funds for winter gear. Our Winter Soldiers on Wall Street are counting on us and we are counting on them." Labels: "9/11", "Bill O'Reilly", "Brookfield Properties", "David Letterman", "Empire State Development Corp.", "Greg B. Smith", "Ira Shor", "Mark Naison", "Occupy Wall Street", "The Factor", "Zuccotti Park"
There is a walkathon tomorrow in support of domestic abuse victims. Please do see the press release sent by our very own Rhina Valentine, AKA “Rhina del Barrio”. For more information on my favorite talk show host, here is her web site: http://www.lareinadelbarrio.org/ Good luck to everyone involved tomorrow. "Because All It Takes Is The First Step"
The L.O.V.E. Walk derived from April and Rhina's dedication to raising awareness about Domestic Violence. They hope, that by going public about their own personal experiences, it will encourage others to reach out for help.There are many people who suffer from Domestic Violence and do not have the courage to 'speak up'. April and Rhina are helping to give them a voice--One that is strong and clear. Labels: "April Hernandes-Castillo", "Center Against Domestic Violence", "Dexter", "Domestic Violence", "L.O.V.E. Walk", "La Reina Del Barrio Productions", "Remo Productions, "Rhina Valentine", Inc."
Here is another e-mail from the NYC Public Advocates Office. For those that are unaware, the NYC Department of Education spends over $1 billion for no bid school bus contrast. We wrote about this recently after a report issued by NYC Comptroller Liu’s office. Were shipping kids all over NYC . When I was a kid I walked to school. There is a link below to review the report and one to sign the petition circulating. It's a miracle there is any money left to run our public school after the bus and high end consultant bills are paid. If you picked up a copy of the Daily News on Friday, you may have seen two disturbing articles about our NYC school bus system, based on Public Advocate Bill de Blasio’s new report. The Public Advocate's new report draws on parent surveys and constituent complaints received by our office and presents five straight-forward reforms to help improve our school bus system. Key findings include a lack of oversight in the current no-bid contract system, unreasonable standards that permit children to spend more than 3 hours on the bus each day, and poor communication that leaves parents in the dark. We are calling on New Yorkers – parents and non-parents alike – to stand with us to ensure changes to our school bus system are implemented, starting with special education routes where the need for improved service is most acute. Please sign our online petition by clicking here and let us know if your kids have experienced long delays and other problems with City school buses. You can also share your thoughts with Bill on Facebook & Twitter. Labels: "Daily News", "Jeff S. Merritt", "NYC Bus Contracts", "NYC Department of Education", "NYC Public Advocate Bill de Blasio"
Here is more on NYC Public Advocate Bill De Blasio and his push to investigate privately owned detention centers were alleged abuses are taking place. To hear more and make your own conclusion, he is scheduled to appear on CNN en Espanol later tonight. As our reliance on private prisons increases so should our diligence to make sure big business does not infringe on our human rights, regardless of our immigration status. Public Advocate Bill de Blasio will appear on CNN en Español tonight in a segment about mistreatment of undocumented immigrants being held at private detention centers around the country. The Public Advocate has called on the Justice Department to launch an investigation into abuses in the industry. Tune in tonight at 7pm - CNN en Español, Channel 852 on Time Warner Cable. Labels: "Channel 852", "CNN en Espanol", "Immegrants", "Privetley owned prisons", "Public Advocate Bill de Blasio", "Time Warner Cable", "Wiley Norvell"
For the last few days the Republican PR machine has been prophesizing that no political figure would come out in support of the Occupy Wall Street protests. Here is another U.S. Congressman who proves them wrong again. For an update from a Congressman who is not a tool of the super rich and in touch with reality, please see the following press release sent by U.S. Congressman Serrano. This week, Congressman Serrano spoke out in support of the basic economic message of the Occupy Wall Street protests. The protests, which began in mid-September, are expressing opposition to an economic system that has eroded working people’s economic security while simultaneously greatly enriching a small segment of society, and to a political system that has failed to address those concerns. “I’ve been watching the growing attention that the Occupy Wall Street protestors are garnering and have to say that I couldn’t agree with their economic message more,” said Serrano. “For years, many of us have been talking about the squeeze on working families and the favoritism toward the rich that has infected our national policies, but these protestors have helped spread that message to new and bigger audiences. This is a very welcome development. They have hit on a simple truth—the economic policies that our nation has enacted over the past several decades have made it harder and harder for the vast majority of the population to live a decent, stable life. Working families have the right to be outraged and fed up, and I believe these protestors are channeling that justified indignation. “We just spent a very long spring and summer in Washington listening to a debate about severe cuts to government spending—spending that supports working families. Meanwhile the jobs situation was blinking red the entire time. Poll after poll showed that people across the nation cared far more about job creation than government spending, but to hear the Washington discourse it would have seemed to have been the exact opposite. Now we’ve wasted months on the outlandish debt debate and done nothing to support job creation. No wonder there is such frustration. “The protesters ask why we are focused on rebuilding roads and bridges and schools in Afghanistan and Iraq when we have out-of-work workers, crumbling bridges, roads and schools right here at home. I take it a step further and ask why we are spending money to occupy these nations and to support a hugely bloated military budget. We should bring the troops home, and redirect a significant portion of the defense budget to social and infrastructure spending here in our nation. Labels: "Economy", "Jobs", "Occupy Wall Street", "Scewed Economics", "U.S. Congressman Serrano", "Working Families"
Here is news on a free spoken word event at the Bronx Museum of the Arts scheduled for later this evening. Join The Bronx Museum as we celebrate arts in the Bronx with an evening of stories, spoken word poetry, homespun songs, and dramatic readings. Tour the galleries to discover insights into selected artworks in the museum, and share your personal tales in an open mic session. The goals of Bronx Stories are four-fold: to challenge stereotypes about the Bronx and promote positive images of the borough; to provide a platform for voices from the community and space for the community to come together; to create a welcoming and inclusive atmosphere in the museum; and to encourage deeper engagement with art. Labels: "Bronx Museum of the Arts", "Bronx Talks", "Carlos Serrano", "Chantilly Mers", "Isaiah Sheffer", "Paradigm"
Here is news about tomorrows Hispanic Heritage Celebration taking place tomorrow sponsored by NY State Senator Klein. BRONX, NY – Former Bronx Borough President and current U.S. Department of Housing and Urban Development Regional Director Adolfo Carrión will be the keynote speaker at Senator Klein's Hispanic Heritage Month Celebration. Kevin Alicea, Troy Perez & Ruben Rodríguez – Owners, Havana Café, Ivine Galarza – District Manager, Community Board No.6, Alex Rodríguez, President, Westchester Hispanic Law Enforcement Association, Lillian Rodríguez López, President, Hispanic Federation, and Louis M. Vasquez, Executive Director, RAIN, Inc.
Labels: "Adolfo Carrion", "Community Board 6", "Havana Cafe", "Hispanic Heritage Month", "Kevin Alicea", "NY Sentor Klein", "RAIN, "Troy Perez", Inc", Ruben Rodriguez"
Fortunately there was not a showdown in Zuccotti Park this morning during the attempted "foreclosure of Zuccotti Park" from the Occupy Wall Street protestors. Besides the hundreds of thousands of individuals who signed the petition circulated yesterday to protest the proposed eviction disguised as a "cleaning", hundreds if not thousands of additional supporters showed up at 6am this morning to show solidarity with the movement. It made me proud to be an American witnessing the news clips during the last 24 hours which showed brave men and women, from all walks of life, cleaning the park and waiting for their opportunity to be arrested in support of Democracy. I feel guilty that I was not there in solidarity with the protestors. It's a shame that much of the spin from the major media owned by the 1% or their puppets, does everything they can to undermine these American HEROES protecting our Democracy. Please review the e-mail circulating related to tomorrow’s gatherings and demonstrations. I also attached a photo taken at the demonstration showing the growing disparity in wealth in America. The only class warfare going in is an assault by some in America stop 1% against Americas poor and middle class. On October 15th, HISTORY is being made. For the first time ever, a Global Demonstration will occur in hundreds of cities around the world. Millions of people will peacefully protest in solidarity, representing 99% of humanity. There are numerous causes being fought for, all spearheaded by a single principle...THE PEOPLE's VOICE MUST BE HEARD. October 15, 11am, we will be gathering at Fordham Plaza in the Bronx. From... there we will head to the train and go down to Occupy Wall Street as one unit. It is time Bronxites gathered together, and in the spirit of our reputation as being tough no nonsense citizens, we will show our resolve and peacefully protest, walking in solidarity with our neighbors. The Bronx contains one of the five poorest Congressional Districts in the entire COUNTRY. Yet we house a sport franchise that has the highest payroll in professional sports...That is but one example of the duality our borough endures. Please spread the word, as this will be the beginning of us manifesting our own local occupation and further events. Labels: "99%", "Brookfield Properties", "Daily News", "Fordham Plaza", "Greg B. Smith", "Occupy Wall Street", "Zuccotti Park"
Here is news on a fundraiser for NYS Assemblyman Nelson Castro taking place later today. From the e-mail sent, sponsors of the fundraiser include Bronx Democratic Chair Carl Heastie, Monroe College President Stephen Jerome, Bronxites for Parks, Bedford Park/Norwood Merchants Association, the Northwest Bronx Democrats and others. Anyone interested in supporting or discussing issues with Assemblyman Castro should read the e-mail posted below. The e-mail was sent by the North Bronx Thinktank. Labels: "Assemblyman Carl Heastie", "Assemblyman Nelson Castro", "Bedford Park/Norwood Merchants Association", "Bronxites for Parks", "Coogans Restaurant", "Mirram Group", "Northwest Bronx Democrates"
Here is information related to an exhibition and opening reception celebrating a Latina performer loved by many. 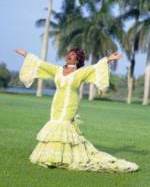 The opening reception will be held in celebration of Celia Cruz’s birthday on October 20th, 2011. The exhibition will run through November 22nd. For Celia Cruz fans or anyone interested in learning more about the Latina singing sensation, please read on. Please note this is a free event. This evening's event is presented in collaboration with Whedco, Bronx Music Heritage Center and City Lore with special thanks to Friends of Woodlawn Cemetery and Celia Cruz High School of Music. This event is FREE, but please RSVP by email info@casita.us or call 718-589-2230 x.6191. Labels: "Bronx Music and Heritage Center", "Celina Cruz High School", "Celina Cruz", "City Lore", "Elena Martinez", "Friends of Woodlawn Cemetery", "Lehman College", "Leo Gast", "Ruth Sanchez", "Whedco"
Here is news just received on a Wellness Expo taking place today. WSPT is organizing the event. It will take place at the Hutchinson Metro Center in the North East Bronx, right of The Hutchinson River Parkway. NEW YORK, October 12, 2011 -- WSPT is bringing together the top experts in the health and wellness fields for an afternoon, all-ages expo. The WSPT Wellness Expo will take place at the Hutchinson Metro Center in the Bronx on October 13th from 3pm to 7pm. Through the use of classes, demonstrations, seminars and hands-on experience, WSPT will provide an afternoon of information and entertainment that the whole family will enjoy. The event will bring a variety of doctors, nutritionists, sports and fitness specialists, wellness experts, authors and a diverse group of experts in the areas of: Food Allergies, Breast Cancer Awareness, Arthritis Awareness, Diabetes Prevention and Treatment, Heart Disease - Detection and Care, HIV Prevention and Treatment, Women’s Health, Men's Fitness, Childhood Obesity Prevention, Sinus/Snoring/Sleep Apnea, Vitamins as Natural Medicine, and Taking Charge of Your Health and How to Get Healthcare if You Lose Your Health Insurance. Free fitness classes include: Zumba Fitness® , Pilates, EZaerobics (featuring low-impact exercises designed to keep seniors feeling fit and healthy) HipHop Core and more! Founded in 2001, by Daniel Seidler, PT, WSPT has long been regarded as a groundbreaking Health and Wellness Facility in the Bronx. WSPT is dedicated to providing world-class care right around the corner. It is the goal of WSPT to promote health and wellness, both for the individual and for the whole Bronx community. Labels: "Bronx Wellness Expo", "Daniel Seidler", "Diabetes", "Fod Allergies", "Heart Disease", "HIV Prevention", "Hutchinson Metro Center", "Mens Health", "Pilates", "Women's Health", "WSPT Wellness Expo"
Here are some photos I took at the Occupy Wall Street Protest this past Sunday. I went to get a first hand look at what was going on and at to provide my testament, with photos, to anyone who could not go themselves. It was a peaceful demonstration of average Americans, with a few colorful exceptions, who are fed up with the lies, corruption, greed and incompetence destroying the American middle class. Enjoy the photos. Labels: "Occupy Wall Street", "Protests", "Wall Street"